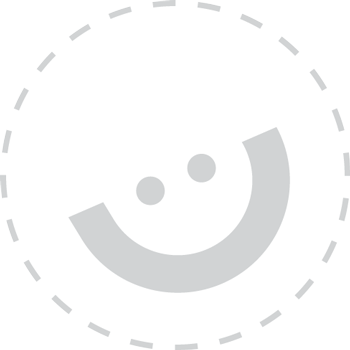 We are a K-5 School in HWDSB. 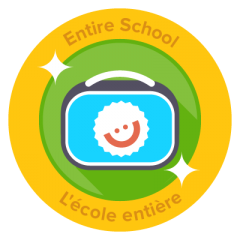 Three grade 2/3 classrooms, with the guidance of three McMaster Nursing students, completed this badge. We discussed how the lunch-break is for the students currently, and discussed any suggestions for improvement. The nursing students posted a link on the school website for the parents/guardians, regarding packing healthier school lunches for their children. We asked the students to have a discussion with their parents/guardians about healthier lunch and snack options. The nursing students provided the classes with tips for enjoying eating at school. The class then participated in a visual poster contest, photos have been provided. 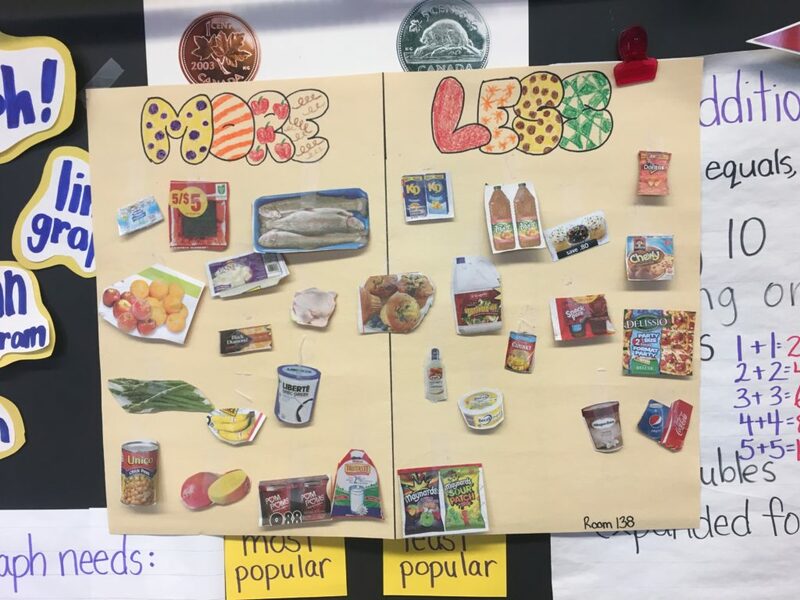 With the help of the nursing students, the class decided which items we should see more of, or less of in our lunch boxes.